IIMPACT believes that the best form of learning by our girls about the science associated with our environment is through simple demonstrations and practical examples. 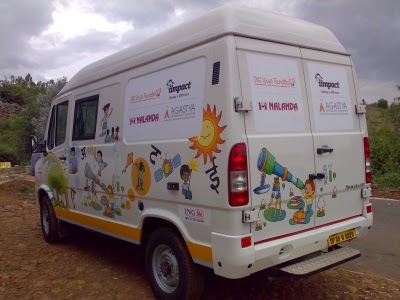 A pilot project housed in a mobile van has been set up at Mahmoodabad, Lucknow, sponsored by ING Vysya Foundation, Bangalore, and ING Foundation, Amsterdam. It will impart basic exposure about our environment and the importance of its protection to our girls and their community. This project is fully designed by the help and cooperation of Agastya International Foundation, Bangalore.